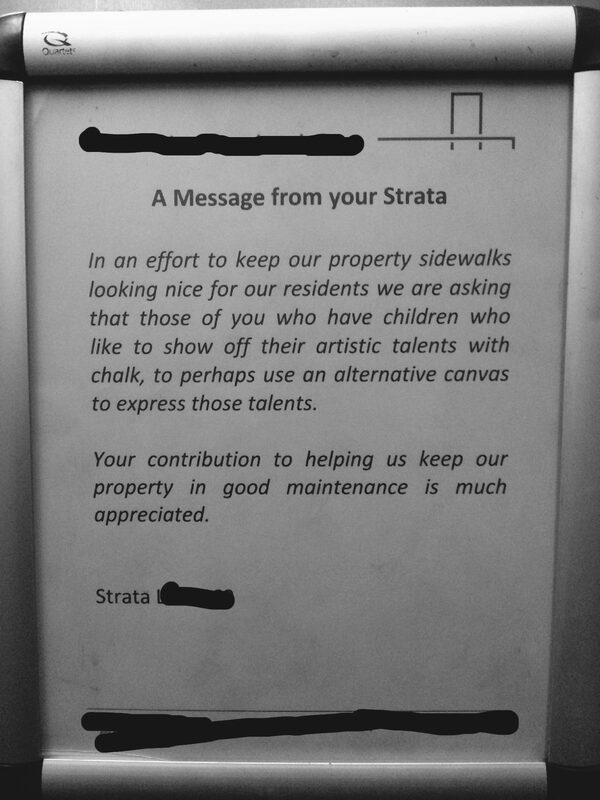 Mind-numbingly boring, no fun city, and now, anti-chalk. Fresh off the dubious label of "mind-numbingly boring," and regularly stamped as a "No Fun City," Vancouver may also boast it's home to the world's most passive aggressive letter. Comments on the Reddit thread furiously condemned the no-chalk grouch, and even led to tentative plans to hold a "chalk-in." The original poster ended up nixing those plans. He/she declined an interview with HuffPost B.C, saying "This is far bigger than I expected and [I] would rather it didn't get any worse." In January, a woman in Abbotsford, B.C. claimed she was being "bulled" by her strata council, which issued fines for her noisy children.